Gulls are invading coastal cities in search of food and breeding habitat, sometimes causing nuisance for human inhabitants. 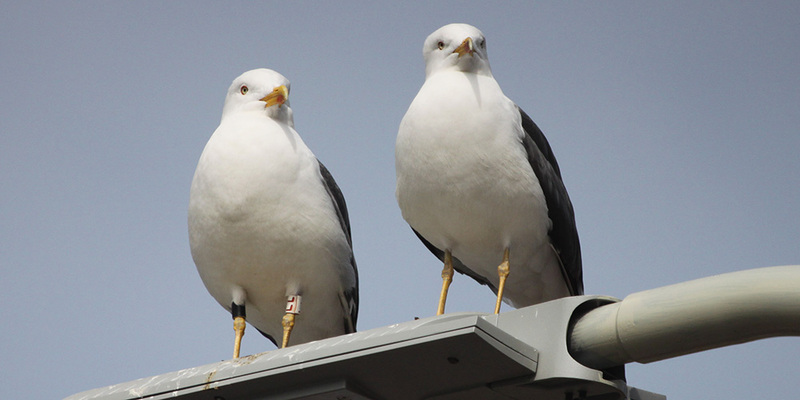 Together with gull researchers Naomi Huig and Roland-Jan Buijs we study the seasonal variation in occurrence, movements and feeding behaviour of large gulls (Herring Gull and Lesser Black-backed Gull) in urban areas along the Dutch coast. Most of this research is not funded and carried out voluntarily on a continuous basis. So far, this has resulted in three peer-reviewed publications. Divorce and mate change in Lesser Black-backed Gulls - Large colony-breeding seabirds are often thought to have high pair fidelity across years. In a Short Note in the Dutch ornithological journal Limosa, we question whether this is also the case in Lesser Black-backed Gulls. Pair fidelity can only be reliably studied when birds can be identified individually. Thanks to enormous ringing efforts in the largest breeding colony in the Netherlands, the Port of Rotterdam, we were able to follow the mate choice of a male Lesser Black-backed Gull in three consequtive years. To our surprise, this individual was paired with a different colour-ringed female each year, while observations in the colony proved that the ex-partners were still alive and breeding with other males. This raises the question what underlies this mate change and how frequent it is in Lesser Black-backed Gulls. Further research should answer this intriguing question. Find the whole story here. 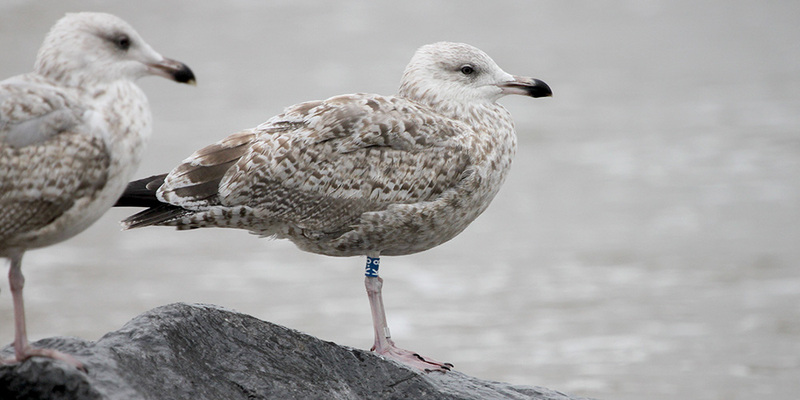 Large gull behaviour in the city during the breeding season - In our study area in The Hague we noticed that many of the Herring and Lesser Black-backed Gulls present are ringed and breeding in a non-urban traditional colony some 20 km away. Since large gulls in urban areas are increasingly considered a source of nuisance, we were wondering what the role of non-urban breeding gulls was in this nuisance. In an article in Bird Study we describe the temporal dynamics of gull presence along a fixed trajectory through urban habitat that was checked nearly daily for colour-ringed gulls. We found that the presence of large gulls, the number of gulls involved in nuisance events, and the mobility of large gulls peaked during chick rearing. This is the most food-demanding phase of the breeding season, indicating that this is the period that large gulls are mostly attracted to easily accessible antropogenic food on the streets. Since the number of visiting gulls far exceeds that number of local roof-breeding gulls, we argue that measures to reduce the accessibility of food in urban areas will be much more effective to reduce nuisance than control of the local breeding population. Herring Gulls on the Dutch coast: city slickers or true seagulls? - Herring Gulls are increasingly found in urban areas, where they occasionally cause nuisance to people, giving rise to the question whether these traditional seagulls have actually become city slickers instead. Literature and personal observations suggested that gull numbers both in the city and on the beach varied over time, suggesting a potential seasonal shift in habitat preference. The large population of colour-ringed Herring Gulls along the coast of Zuid-Holland allowed us to evaluate whether the gulls that would be considered city slickers would still behave as seagulls at least part of the time. In Limosa we report the results of standardized surveys in urban and beach habitat near The Hague during spring and summer. We found that it is mostly the adult male Herring Gulls that use the urban environment, mostly so during the chick rearing phase of the breeding season, while females and juveniles preferred beach habitat. After the breeding season, most adult males also moved to the beach. These results indicate that urban gulls still behave as seagulls part of the year and emphasize that urban areas are mostly used when food demand is highest during chick provisioning. 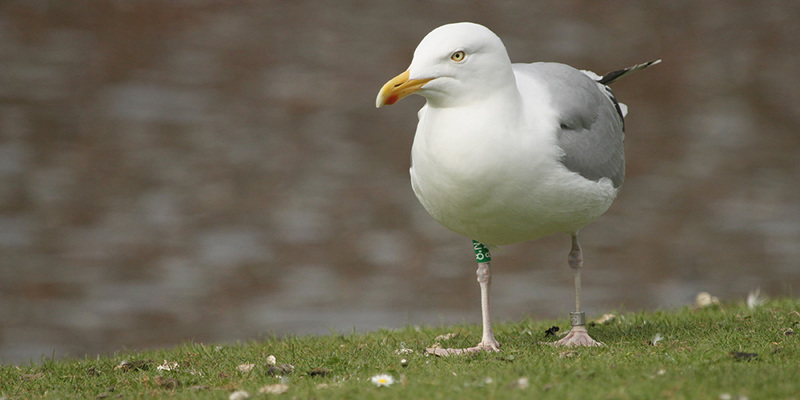 Read more about the gull research of Roland-Jan Buijs on his blog!